Not unlike the wine growing industry of the 1960’s & 1970’s the coffee Industry is fast approaching major change. This change, whether largely or partly influenced by climate change (or as I see it climate cycles), causes effects on static plantations of any one selection. Despite the debate of whether this change is caused by global warming, global cooling, climate change or climate cycling, or whether this is with or without the influence of human intervention, the dependency on Arabica is increasing while supply of sustainable high quality beans are seen by many to be decreasing. Map 1 (June2014) shows areas of coffee cultivation by type, robusta (r), robusta & Arabica (m), Arabica (a). Although some locations are absent, the general overlay of significant coffee growing areas characterizes both the degree of latitude perceived suited to current coffee production & highlights the potential industry vulnerability to change. Otto Simonett illustrates (Map 2) the potential impact of global warming in one location on a variety least affected by ecological & meteorological conditions. A rise in temperature, shown by this map, will severely reduce total production, irrespective of additional adverse factors caused by this change. Changing climate conditions will inevitably have a higher impact in Arabica, which requires specific conditions with less variation to produce good quality cherries. In September 2014, the Intergovernmental Panel on Climate Change (IPCC) projected a global warming between 2.6 oC – 4.8 oC by the end of the century. It continued to report that in Brazil, a temperature rise of 3.0 oC would reduce suitable areas for growing by 66 percent in Minas Gerais & Sao Paulo & eliminate it in others. Similarly, in 2012 the International Coffee Organization (ICO) analyzed effects of climate change on wild indigenous Arabica in Ethiopia, suggesting that current production could disappear by 2080. World Coffee Research (A & M University Texas) points out that either rising temperatures, fluctuations in temperature, other weather conditions or pests would cause a deficiency of suitable highland mountainside on which Arabica flourishes. It has been reported that temperatures above 23 oC can effect coffee plant metabolism, resulting in reduced yields, unbalance aromatic volatiles & increased levels of borer beetle & leaf rust. My findings between 2008 – 2014 supports this, though actual temperatures were found to be slightly higher at 25oC with relative humidity (RH) less than 65 percent. It is clear that a rise in temperature would severely reduce existing growing regions & significantly effect cherry quality. Mauricio Galindo (ICO) stated in 2012 that climate change was the biggest threat to the Industry, adding that if we don’t prepare ourselves we are heading for a big disaster. In March 2014 (ICO) further cautions were expressed that climate change would have a negative impact on production in many countries unless urgent research is carried out on adaptation measures. What if we could produce a more uniform crop of cherries, cherries of selected size, known quality, time of harvest or even increased choice of geographic location? Figure 1: Effect of Pollination on cherry ripeness. Consistency of crop (Figure 1) is often a reflection of how each plant is in balance with its microclimate. This ecosphere, both above & below ground, which can differ from plant to plant, is crucial to understanding & delivering high-quality consistent production. To help understand the effects of these cycles on current Arabica plantings & ultimately cherry quality, I went into the under-story of South East Asia. For the past 9 seasons I have compared plant habitat, plant form, flora, fauna & physiological aspects of Arabica from Indonesia, Laos, Vietnam & Thailand. During this time, accompanied with 14 years (1984-1998) analyzing government climate data, it is a no-brainer to conclude “we” need to both adapt & evolve with the fluidness of what is happening around us. Often these effects of “change” cause speculation seen as adverse characteristics on the things we currently do. 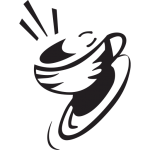 Along with most climate-related industries, the coffee industry drinks these effects but equally swallows opportunities for innovation & industry development. To ensure fundamentals of sustainable cherry quality in cycles of change, we need to consider nature’s rhythm & diversity. Nature is a wise teacher with a long history of perseverance whom we need to realign with, draw awareness from, and understand what she is already preparing & implementing. Geographic locations on the fringes of current natural adaptation are often the first to notice subtle indicators as a result of change. Why continue to drink a reduced ‘quality nectar of nature’ (QNON) when nature has provided the APPS to make things easy! Stimulated with this cup of knowledge I travelled to the South Island of New Zealand (Aotearoa o Te Waipounamu) to investigate Arabica plant function & cherry quality as effected by cool temperate climate. Trials were located in Hortons Road Tasman, 43 km west of Nelson & 41degrees latitude south of the equator. Nelson is unique in its inherent nature of maritime influence, not only experiencing long sunshine hours but cool night temperatures. This diurnal factor of temperature is a fundamental key in both the fruitfulness (cherry/leaf ratio) but more importantly cherry physiological ripeness (CPR). 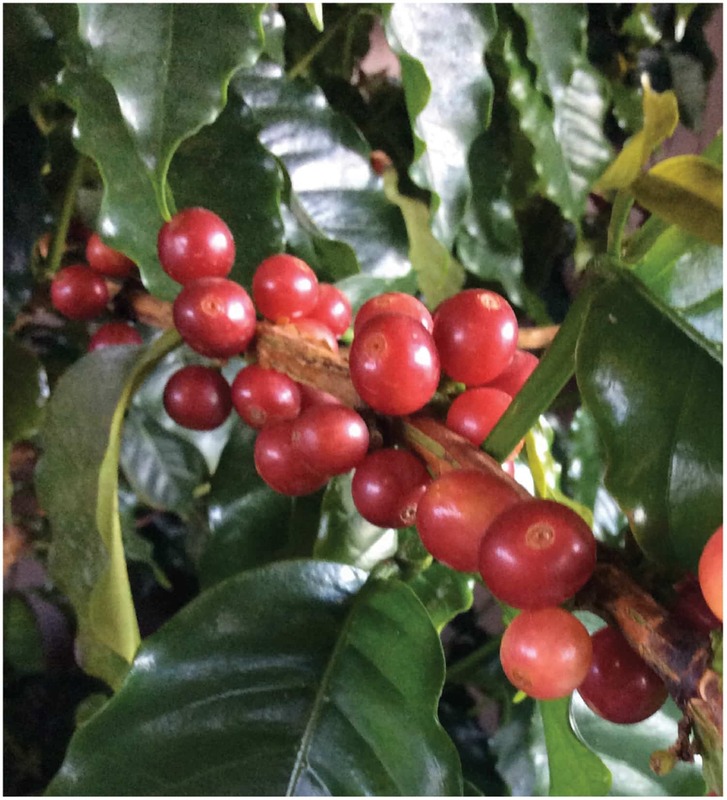 Cherry physiological ripeness (CPR) from observation & in my opinion correlates to (QNON) in Arabica. Initial trials over 7 seasons & a subsequent trial over 5 seasons have shown a single selection of 500 plants of Arabica has tolerated frequent temperatures of 0 oC with short periods as low as -1.5 oC measured at 1.5 meters above ground level. Furthermore flower numbers, cherry size, evenness of ripening & cup quality compared favorably with geographic locations from traditional Arabica coffee growing regions. In conclusion, findings suggest that there are possible alternative Arabica coffee-growing locations outside those currently planted. Whether these ‘new world’ locations are linked more closely with current microclimate, forecasted using predicted climate models or diversified with genetic selection, there are opportunities for increased plantings away from current growing regions experiencing climate cycle challenge, environmental sensitivity or unsustainable production. Additional advantages of plantings outside existing coffee growing regions includes the absence of established pests & disease. More ‘fluidly attune’ plantings will ensure consistent high-quality crops with increased ecologically adaption & biological sustainability, ensuring the delivery of life’s essence.